This part seven of eight posts about your chakras. We started with your root chakra, have moved now to your third eye chakra and are working our way up to your crown. 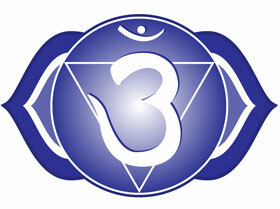 Your third eye chakra, or ajna, it is located in the brain, at the brow, above the base of the nose. The gift of this chakra is seeing– both inner and outer worlds. The energy of this chakra allows us to experience clear thought as well as gifts of spiritual contemplation and self reflection. When your third eye is open, you not only see but you also understand. The Third Eye is not only the seat of wisdom, but also a seat of conscience. This is where you not only see what is going on, but you also know what it means. This is where your sense of justice and your ethics originate. If your third eye chakra is blocked,you may have trouble concentrating, remembering things. You may be having nightmares or can’t seem to find your way in life. Do eye exercises and find the time for relaxed horizon- or star-gazing and mindful concentration on something small – like insects in the grass. Train your concentration without overloading your mind. Or you can always hit the mat! The simplest pose to open our third eye chakra is downward facing dog, or adho mukha svanasana. 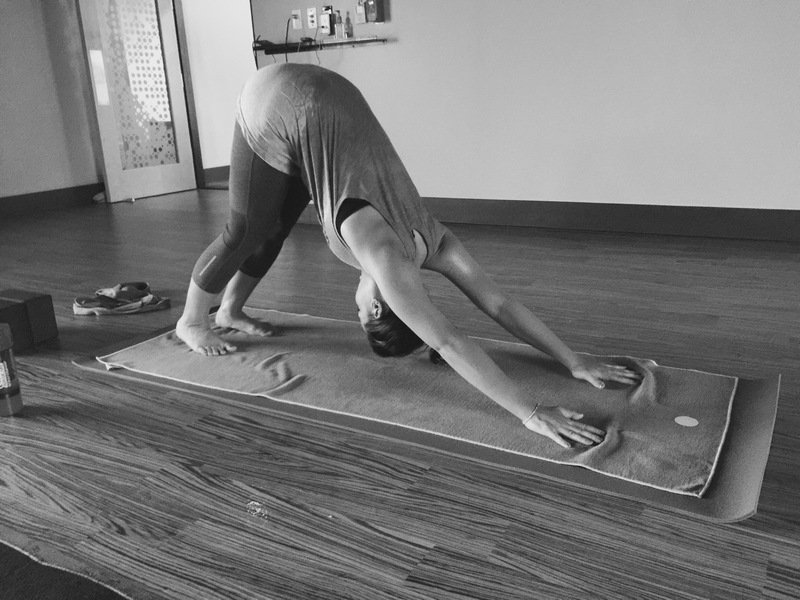 Starting in your mat in tabletop position, walk your hands farther forwards, your palms flat on the floor. Spread your fingers and establish firm contact with the floor. Exhale and lift your tailbone straightening your legs and keeping your feet flat on the floor. Lengthen your tailbone away from the pelvis. Keep lifting your sit bones towards the ceiling. Straighten your knees, but do not lock them. Your hands and arms are also straight, press your palms in your mat. Your gaze should be on the mat below your belly button. you could be a great author.I will make certain to bookmark your blog and will eventually come back at some point. Reblogged this on AWAKENING THE SOUL MAGAZINE. Great post and insight into the Third Eye Chakra. To try another technique to balance or open the Third Eye Chakra and all the chakras, Serge Kahili King, a Hawaiian kahuna, taught me Dynamind – check it out at https://chakradiaries.wordpress.com/2015/06/02/balance-your-the-third-eye-chakra-with-dynamind/.